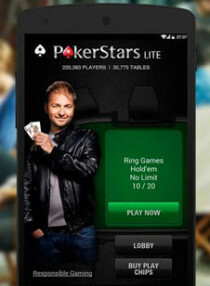 Will streaming prove successful in American gaming markets? Israel is at the pinnacle of the gaming technology world with hundreds of gaming development firms. Companies such as TabTale and KidOZ, are that top of their individual specialties. These companies produce titles that are downloaded anywhere from 500,000 to 1,500,000 times online. 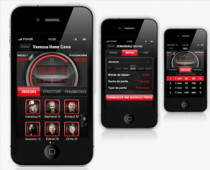 Some of these companies have also made advancements in the social gambling market with title that play like casino games but don’t charge fees. Corporations like Caesar’s Interactive Entertainment and Bally Technologies would like to change that. The Israeli streaming company Playcast has been purchased by U.S game rental company GameFly in order to introduce video game streaming to the American market. GameFly estimates that almost 80 percent of American’s have some level of access to high speed broadband. This access included internet enabled TV and streaming equipped devices will increase to over 200 million by 2017. With so many internet devices owned by the populace, the infrastructure is ready and now is the perfect time for streaming video games. Michael Moritz, chairman of Sequoia Capital and GameFly Director, said Playcast technology will be a pillar in the growth of streaming in the U.S. “The $25 billion video game industry is undergoing major disruption and consumers have expressed strong interest in streaming games, much as they do with TV and movies.” GameFly’s introduction of its new streaming video game service should help accelerate the growth of this market considerably. 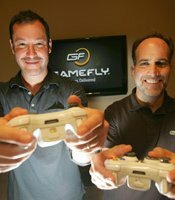 GameFly CEO David Hodess expressed his feelings. “We’re excited to offer the GameFly streaming service worldwide with Playcast’s market ready and scalable technology. This represents the perfect evolution of GameFly by extending its mission of providing the highest quality video games available to gamer however they want to play. We are also very pleased to launch on Amazon Fire TV and make the service available to U.S consumers.” Social gaming and gambling could move to another level. Playcast is currently the leading cloud gaming platform. Cloud technology allows users to manipulate data through the use of a virtual memory source instead of one that his grounded to a physical device, such as a hard drive or game console. The advantage in cloud technology is that it products, particularly laptops, mobile phones and tablets, don’t require as much memory in their systems as they used to. Consumers don’t have as much need for hardware that is weighed down with storage components. Cloud technology has sparked some criticism though for the lack of ultimate control of the data that is stored. Since data stored on cloud memory is virtual and not on our devices, we don’t have ultimate control over where that data is or what might it be used for. This makes online gaming security issues a possible concern. Playcast offers games from major entertainment companies like 2K, Namco Bandai, Capcom, Codemasters, Disney, Konami, Sega, Square Enix and Warner Brothers.